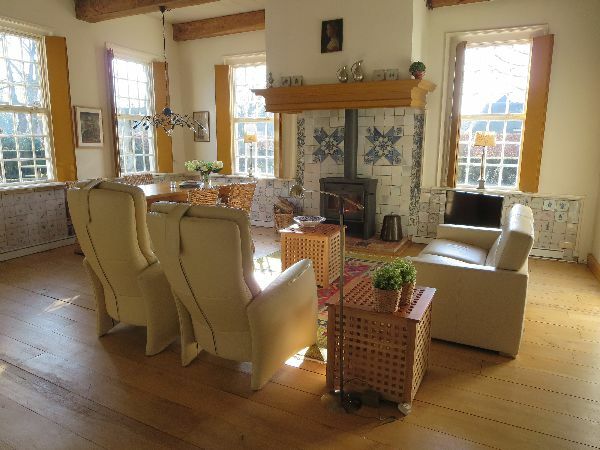 De Heerenkamer on the ground floor is a historical and attractive guest house with an original tiled fireplace and a wood stove. 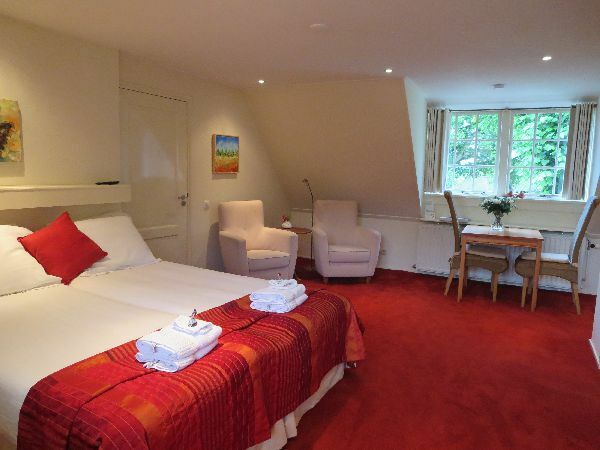 The room can accommodate up to 4 persons, has a separate bedroom, kitchenette and bathroom with toilet. De Bovenkamer on the first floor looks out over the beautiful garden bordering the field. This apartment has a private bathroom and separate toilet. Guests have their own fridge and tea and coffee making facilities. 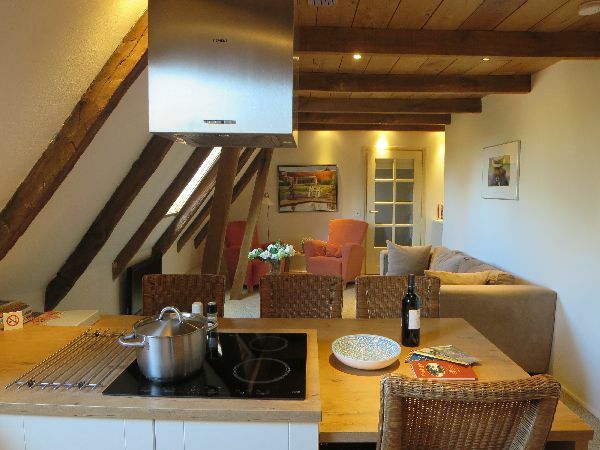 De Eshofkamer on the first floor has a separate bedroom, a bathroom with toilet and a fully equiped kitchen. The room can accommodate 2 to 4 persons. Guests have their own fridge and tea and coffee making facilities.